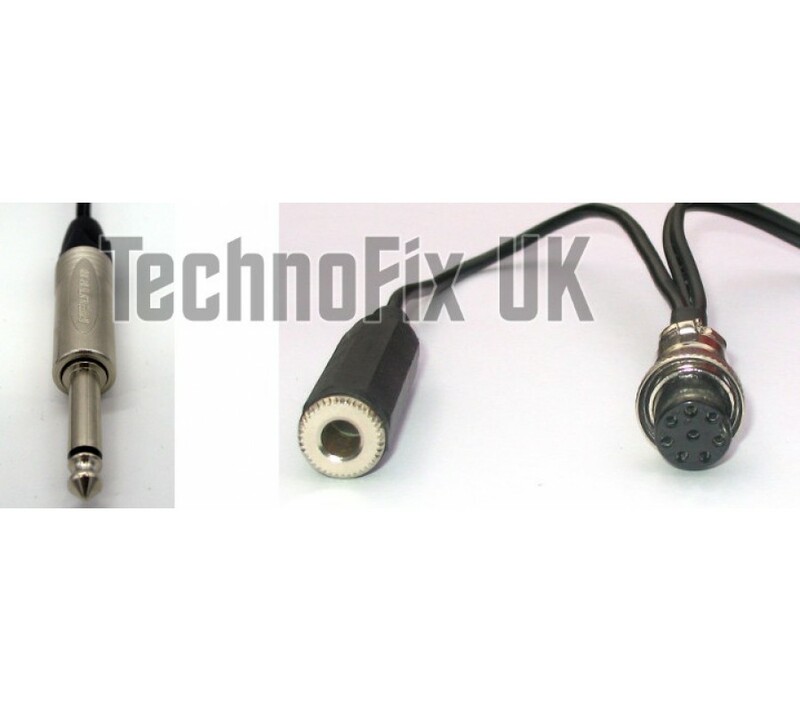 Sturdily made using high quality components, this cable connects your Behringer Xenyx or other studio mixer with ¼" (6.35mm) jack output to your Kenwood transceiver (with 8 pin round microphone connector). A built-in 'L' attenuator reduces the higher line level output of the mixer to the lower microphone level required by the radio to help minimise noise and distortion. 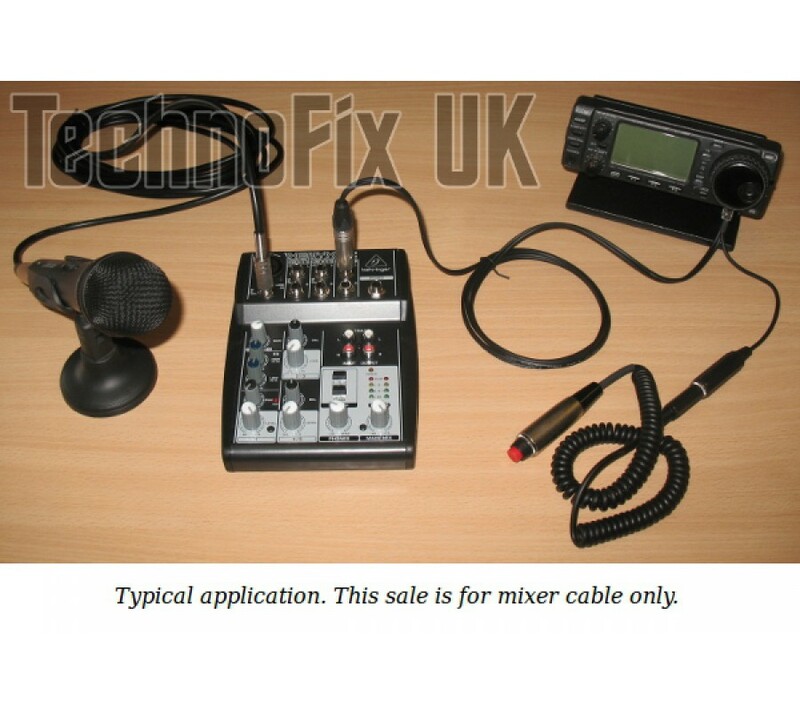 Wired to suit Kenwood transceivers with 8 pin round metal microphone connector. If you are unsure if this is the cable you need, please contact us and we will check for you. 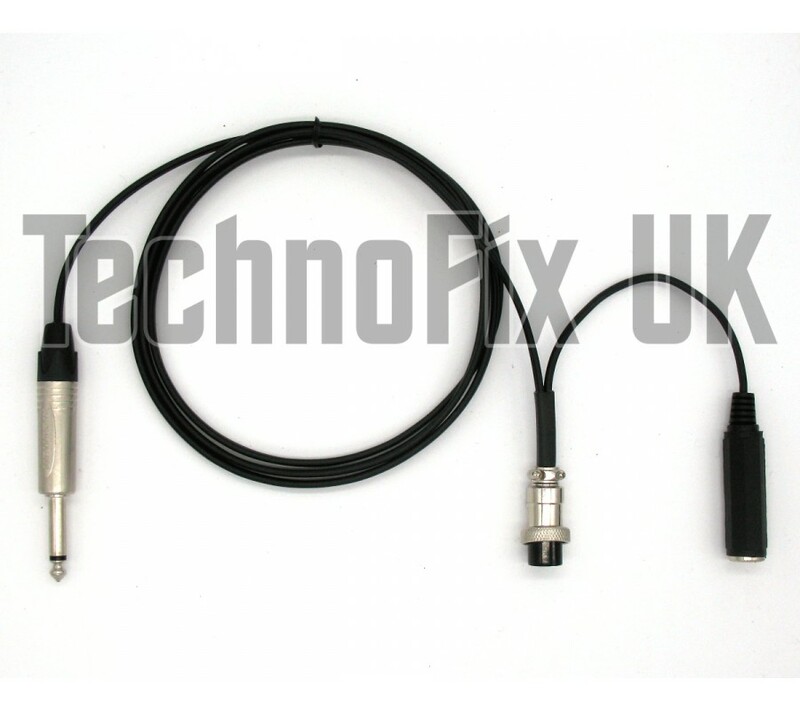 Suitable for mixers with a ¼" (6.35mm) jack unbalanced output. For stereo mixers, connect to one channel of the main output. 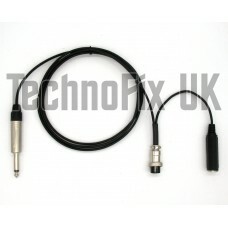 We sell a range of PTT switches and also cables for other transceivers and microphones.